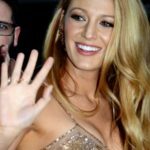 Blake Lively is an American actress. She is best known for her role as Serena van der Wood sen in the CW teen-drama television series Gossip Girl (2007–2012). She starred in films, such as, The Sisterhood of the Traveling Pants (2005), Accepted (2006), The Private Lives of Pippa Lee (2009), The Town (2010), Green Lantern (2011), Savages (2012), The Age of Ada line (2015) and The Shallows (2016). "So, it’s cool that, yes, Hal Jordan is a superhero, but my character is a real-world hero in her own life." "The Green Lantern is a unique superhero because it’s not that he’s super that is his focus; it’s that he’s a man. He’s very human. That’s his greatest strength and his greatest weakness."